Lost Daughters: Korea, Korea, Korea This Is It. 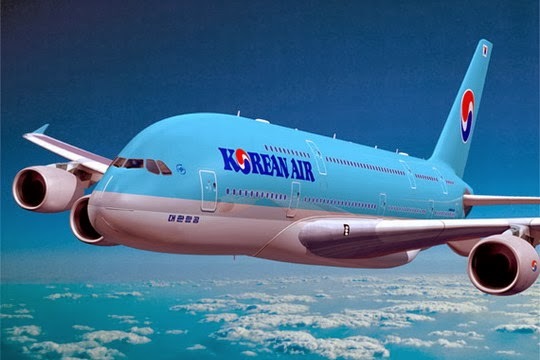 Korea, Korea, Korea This Is It. There are about 200,000 Korean adoptees spread all over the world among these very few adoptees manages to find their birth families to begin with. 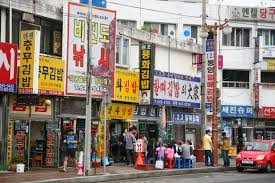 Interestingly records says that are about 500 KADs that reside permanently in Korea and about 2000 visits annually. As a female adult Korean adoptee, I confess that I have a special place that I escape too - and because I'm an inter country adoptee it means my mind hides overseas - from time to time. I have begun to second guess myself a lot lately. I will let you all in on a little secret of mine, I still dream of living and working in Korea. Sounds pretty crazy, right? Why would I like to give up a future in a safe and secure country who haven't been to war for 200 years in exchange for a future in one of Asia's fastest growing economies. Unfortunately I can't give you a clear answer, all I know is that it's something that I want and I'd regret it forever if I didn't give it my honest attempt. Maybe it's in my blood or my subconscious, a silent whisper or cry from my mother country to get me to come back. Unlike Chinese adoptions I imagine that there may come a time when enough of them want to search for their identity and birth family. Until recently me moving back to Korea was included in my reunion with my Korean birth family, strangely enough I still feel as deeply and passionately about actually moving back there - yet this time it has very little to do with my Korean family. There's this silent understanding among adult KADS, a strong bond that outsiders can't understand. We all understand each other and we share something similar together I've tried to find that same unconditional understanding and bond here in Sweden but to no avail. When I actually do decide to move back, I guess it will be a lot easier to maintain a regular contact of some sort with my birth siblings. I say do and not if now, that's how far I've come. Of course I'll have to take up my Korean language studies again, that's vital that I do how else am I supposed to live there permanently. Once I know enough Korean I will start to look for employment in Korea and apply for that special Visa. When all that is done I will begin to save money and possibly look for a place to live. The final step is to book my plane ticket. Luckily for me my mum and dad are supportive of my decision and future plan to move back to Korea. Maybe they understand just how important it feels for me. These days it is possible to talk to someone on the other side of the world. The distance between countries and continents is not so apparent as it was say 50 years ago. I hereby promise myself that I'll do my best to get myself back to Korea within 2 years time - I actually had the same feelings three years ago. So I owe it to myself to give this an honest attempt - I'm still young and there's nothing holding me back. I have no ties to Sweden--- other than to my mum, dad and brother - no nagging boyfriend, jealous husband or innocent child to consider. I know that if I don't try to make my dream come true, I know for sure that I'll regret never having tried in 25 years time or maybe sooner. For me settling down here, building a future and family means to settle for less - something I refuse to do. Hopefully I will find what I have searched for in Korea-now it's just the actual process of getting there. Final word of advice : Don't dream your dream - live your dream. I did not need another family-I already had a family and I did not need a new life. I already had that, On the other side of the world was a couple who desperately wanted to parent a child. Most people cannot understand why my biggest dream and goal in life is to return , settle and build a future in a nation that once rejected me. Some even say I'm Swedish now and shouldn't even consider relocating. That's thing, I am not Swedish no matter how hard I try-which I have stopped to do by now. I have a family in Sweden which is true but I never wanted to come here, I never asked to be taken from my birth mother or separated from my older siblings. My ethnicity or heritage did not alter once I was adopted I am an Asian woman. I was forced to make Sweden my home and I learned to love my new parents to the point that I now consider them my second family. My mum , dad and brother can never become my first family or replace my biological family. Just because I was raised in the Western World grew up in a European country in a Caucasian society it does not mean by default that I believe that my future is there. If I must make sacrifices in order to fulfill my dream then so be it. I would love to be a mother one day-to my own biological children but I would not like to bring a child into a world that would prevent me from living my dream. Now when I am an adult I should be able to live my life according to what I want; my priorites and goals should be my biggest concern. Yet since I once was adopted it seems that people expects me to consider my adoptive parents whishes. The thing is yes-I once was adopted but I am a young female adult adoptee now. As such I must try to create a life that will make me happy without taking too much consideration to my mum and dad. I have accepted and spent almost my entire life in my new country but make no mistake this does not mean that I willingly would like to settle down in Sweden and do what most people my age do. Should I do that, I know for a fact that I would be unhappy and slowly turn into an angry bitter woman. Of couse not all adult adoptees feels like I do, but some do. As an adult adoptee it is up to me to create my own happiness, and I could chose to ignore my desire which ultimately only would make me unhappy. Until I experienced the culture that should have been mine and made an honest attempt at living there fulltime I don't know where I will become happy and where I should create my life and future.This post is not about my mum and dad,my biggest dream should not be seen as a revolt upon them or like I am rejecting them and my life. Because that is not what it is, it is all about me and my journey to finding myself and my happiness. Would I have wanted to pursue a move to a foreign country if I had not been able to reunited with my birth family.... Maybe not, but Korea is not a completely foreign country it is the place where I was born and where my roots are. My heart feels lighter in Korea and I do feel closer to my birth family. If I learn more about my birth culture I like to think that I learn more about my birth family, and I think it is very difficult and complicated to try to learn about a different culture if you never experienced it first hand, meaning by actually living there as a foreigner not a tourist. Society seems to forget and ignore that adoptees age and begins to live their own life I wish people and society would not react so strongly to something they should not be interested in. Don't dismiss (us) adult adoptees-if you happen to know one. Listen to us all, individually and acknowledge our opnions even if you don't agree or understand. At least respect our opinions and us. If 200,000 Koreans have been adopted I believe 150,000 (would be 3/4) of those wants to find their birth family or have tried to find their birth family at some point. Maybe only 2/4 finds their birth family or some relative. About 1/4 might be fortunate to be reunited with their birth parents or relatives. First in the 90s it became easier for Korean adoptees to actually start a birth family search because of the agencies experience and supposedly better documentation of birth families and adoptees.